I was about to post this a week ago but my friends asked me to elaborate it and add some more stuff to it. So it was late and finally i covered the basic stuff. Acquisition saves the state of a digital system so that it can be later analyzed and recovered. Acquisition is important when we talk about the digital crimes and backups. Evidences are only accepted by the court if they are untampered. By taking a image we can assure the data integrity followed by hashing / other technique. We can use Acquisition tools for backup of data, these programmes can be basically used for data availability, even we have similar programmes in windows they do not support more features as other programmes do. 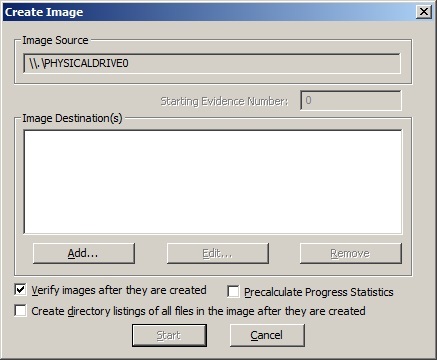 These images can be stored with a Hash value which can be used to verify the data integrity. We can store these images with a password for Data confidentiality using any third party tools. Even some imaging tools provide all the features together. How to justify the integrity of the image? As earlier said it can be done by hashing of a file, using some third party tools we can generate hash values for all the files with in the image but it’s not necessary for normal backups. Analysis is itself a different long process involved in digital investigations, then why did i mentioned it in this post is, analysis is the ultimate reason why we take images ;). To produce the evidences in the court of law we need to analyze the evidences and make a detailed report of the steps of investigations. 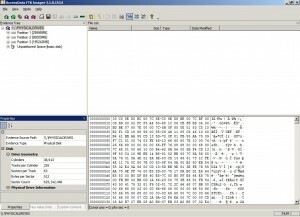 Using Default windows system files for analysis by converting them to Raw dumps! We can use some of the windows system files as raw dumps for the analysis of system usage and user activity. How to convert the files to dumps? To convert the above listed files we use hiber2dmp and hiber2bin applications and to analyze them we use volatility. Using VMware files as an evidence! VMSN – Vmware snapshot files we can use to check the state of HDD. What is live imaging and Dead imaging? Above all mostly used techniques is Live imaging and dead imaging to backup only sterilized hard disk is used. Why to use these tools ? 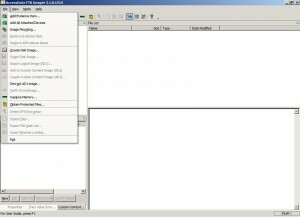 Why to use these kind of tools when we have simple and customized command line tools like dd , the answer is ,these single tool can be used for Acquisition ,analysis and recovery , which can be managed by different types of images rather a single file type.Another reason is user friendly. Various Live CD’s used for Acquisition? How these images are different from one another? These only cover basic file types not all. How to use tools for imaging ? This is a simple explanation of Acquisition tools, This explanation may vary from user to user. 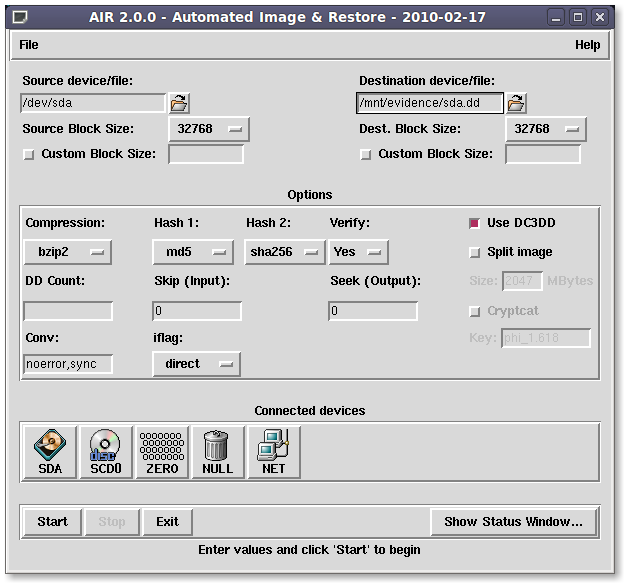 FTK imager 3.1.0:- A note here this help is not copied from FTK imager help guide, So for proper terms and usage verify FTK user guide too. 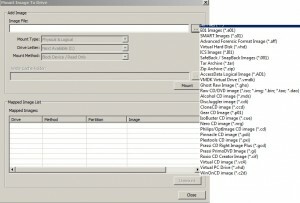 Where to download FTK imager? It’s as simple as Windows application installation. Importance and how is it different from other? It’s simple to use, support is available for any problems you face in using, this application supports features like Hashing, File listing, Multi type imaging, Memory capture, live image mounting and can Capture protected registry files. How to Use FTK imager? If you are a windows user then its not any more tough to use, it’s a simple user friendly application which will be guided with simple user controls. 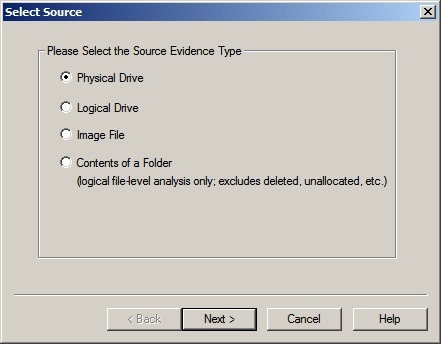 This symbol denotes add a evidence item for analysis / imaging. 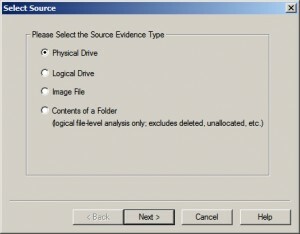 Types of evidences that can be added are Physical drive, Logical drive,Image file and contents of a folder , for the type of images that are accepted by this in image file please check the available help file from the help menu. This symbol denotes to add all attached devices for analysis / imaging (here attached devices may be SD cards, External disks, / default disks). This symbol denotes image mounting , this can be use to mount the images acquired from the HDD by Live imaging or Normal imaging / dead imaging. It supports different types of images some of the mostly used are .E01, .S01, .AFF, .VHD, .vmdk, .ad1, .tar , .zip, .dmg, .gho and others. 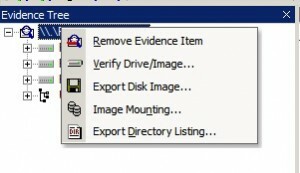 This symbol used to remove evidence items used to remove attached evidences. This symbol used to remove all evidence items which all are attached . The difference between these two options is when we attach more than one partition / disk as evidences it shows as multiple attached devices to remove one on one we use remove evidence items to remove all in one click we use remove all evidences. This symbol is used to create the image of the attached disks / imaging by selection of disks . this can be a live imaging / dead imaging. 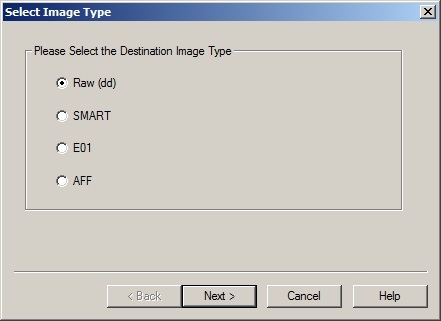 This symbol is used to export the disk image by selecting this it asks for select the image type which you want to export you can select this from four types as dd, E01, Smart, and AFF. 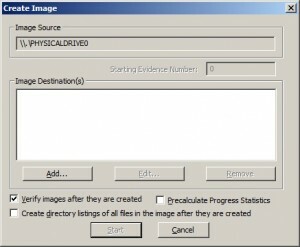 After selecting the image type by filling the details like examiner name and split image size it continues with export. This Symbol is used to export logical image ( AD1) in ad1 format , of the partitions of a disk / contents of a disk as a image we can use this as a bookmark container for the projects /for a quick references of the entries. This symbol is used to add the contents in custom image which will be in AD1 format and contents added can be seen in Custom content sources. In the above figure you can see the other multiple options available in file menu from capture memory we can capture the contents of your memory that is ram and contents of page file . 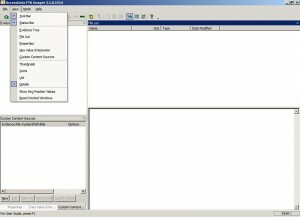 From Obtain Protected files we can get the restricted registry content files from the machine when a machine is in running state, by which we can actually look into multiple options available for a user for example SAM file can be used to get the key for passwords , SYSTEM file for the user accounts and their counts and many more. check my next post for more details on this files. Detect EFS Encryyption actually shows you the encrypted files in the imaged loaded / in the disk. I don’t think i need to explain this 🙂 from the figure you can get the details. 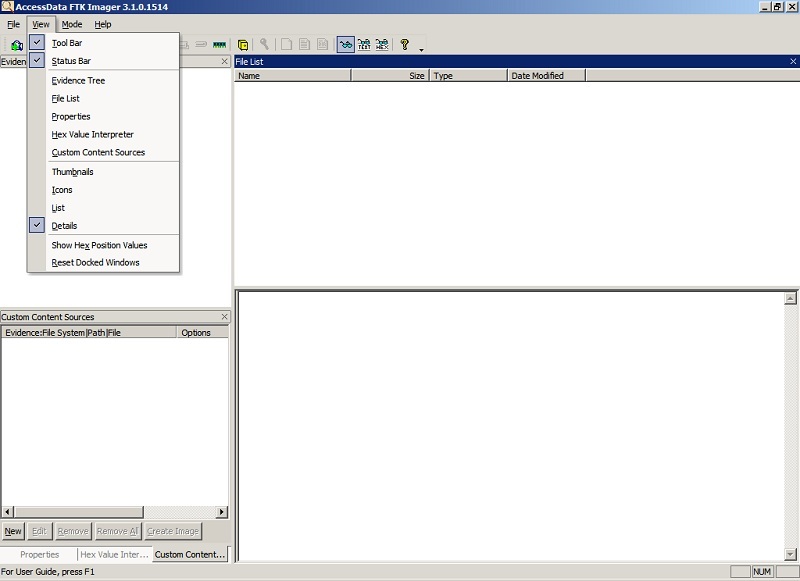 To preview the data in which mode you can select the option here and you can observe the data in the white space available below file list dialog. All the options which are explained in File menu is just simply arranged here in this tool box. 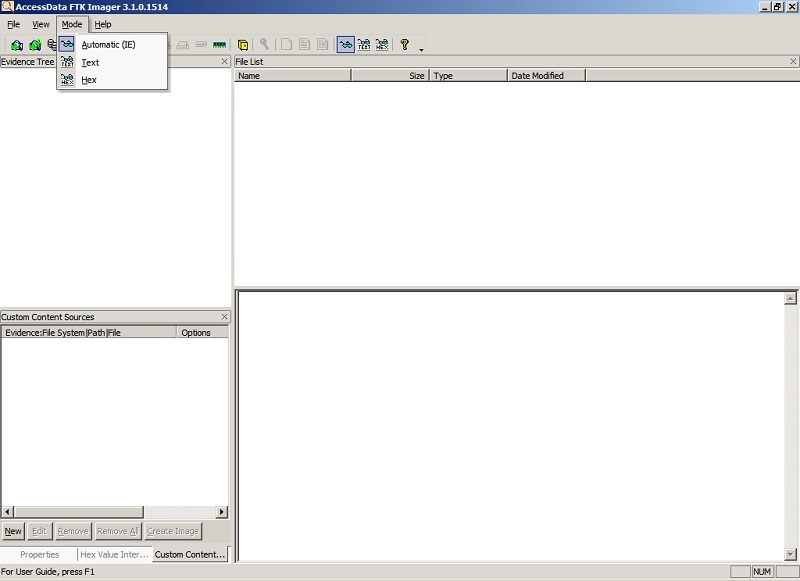 View Files:The white space which can be seen below the File list where the preview is available for the image. 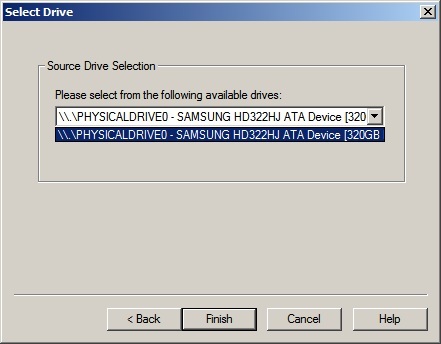 If we select Physical drive , next dialog would be similar to the above fig, drop down contains all the connected devices .User have to select the devices according to his requirement. 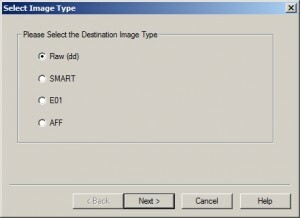 by selecting any of the image types from the above options it will direct you to examiner details from their it asks you for the image destination ,name, fragment size,compression and its encryption , encryption technique will change according to the image type. 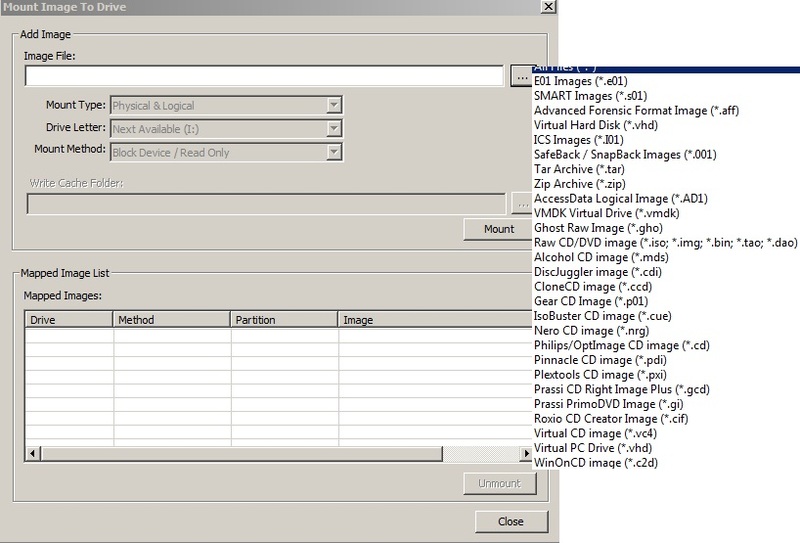 The new option which is added in FTK 3 version is Image mounting these all are the supported image types which we can mount and use for analysis and recovery. if we check the context menu of the contents with in the evidence we can observe the export option and adding the specific selection to content image. when we check the context menu of files in the file list , here also it is same as evidence tree from where you can retrieve single files and its details like mac times , hash values and other .After selecting the file you can check properties tab for more details regarding the file. 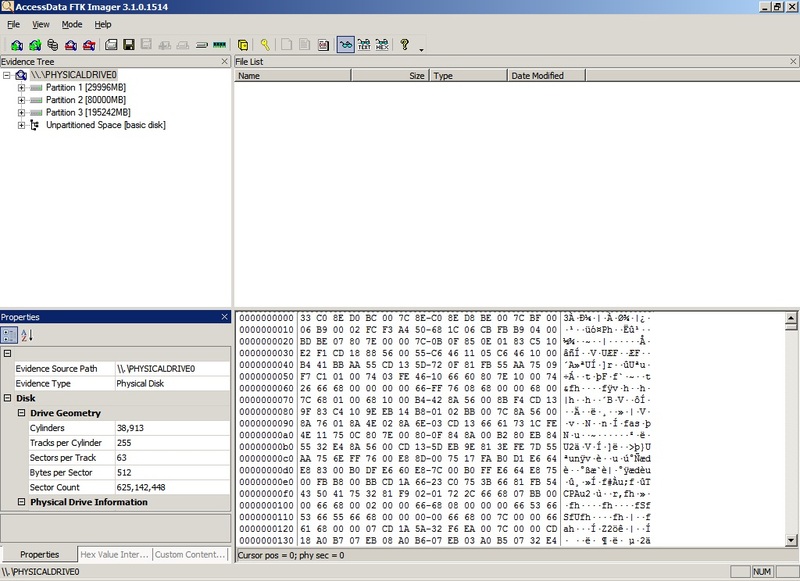 Hex Value interpreter by selecting the text from view files tab you can check the hex content in decimal . You can change the mode of view by selecting options in Mode. Some of these packages you can get with Sharutils. It can be downloaded it from (http://packages.debian.org/lenny/sharutils) according to your architecture. It first checks for Perl updated version and downloads it and then starts AIR installation. After completion you will be given a message “All Done”. If you face any problem in installing AIR please check whether you installed libx11-dev and xutils-dev packages. If not please install them then again run AIR installation. To access AIR, sudo air in terminal. Importance of AIR and How is it different from other? We can set a source (a disk / a file) as a target and a destination (A disk / a location to store the image).The source can be a disk to copy the disk contents to another disk / image and vice versa with block size mentioned. We can use multiple options available within the tool like compression, hashing, verification and others. 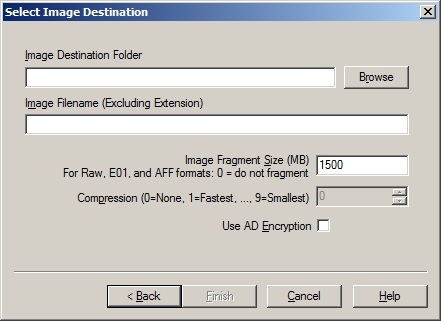 Compression is a technique which is used to compress the data while imaging to store it with in a minimum space, but this is not recommended unless and until it’s necessary. This tool supports the major compression techniques as bzip2, gzip, tar and others. 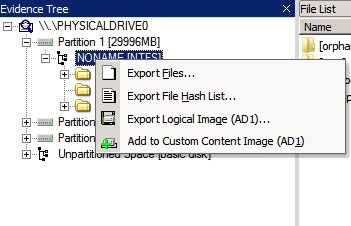 Hashing is a technique to ensure the data integrity with in the image , by selecting the hashing technique it will calculate the hash value for you and generates it in the status windows which can be exported in csv / txt format. To know whether the data is properly imaged / copied we can use verification , to verify the contents we need to select Yes under the verify option. We can split the image in to pieces if we need to store it in different location one reason to do this can be lack of disk space. In connected devices we can select the source and destination as CD / HD / Writing zeros to the disk this is mainly done to wipe the Disk for restricting the data recovery but in some cases recovery can be done.Net is to take the image over network internet / intranet we can do this by specifying specific target ip with port number (This has to be explored more as I didn’t used in deep yet). To start any process you selected click on start, and same for stop. You can observe the status in status windows with Hash values, process of completion. Encase is a Commercial tool so i don’t want go into it anyway, its little bit tricky and easy if your thorough with the windows apps. It requires a very unusual mind to undertake the analysis of the obvious. Alfred North Whitehead. This entry was posted in Forensics and tagged acquisition, AIR, Forensics, FTK, hiberfil.sys, Matriux, pagefile.sys, pardhuc, Virtual machine Forensics. Bookmark the permalink.